HSAs aren’t that complicated. It is basically a tax-advantaged savings account you can open at most banks or brokerage firms. To qualify, you need a health insurance policy with a deductible of at least $1,300 (for singles) or $2,600 (families). All silver and bronze Obamacare policies qualify. You can contribute up to $3,350 (single) or $6,750 (families) per year to your account. Some employers supplement this contribution. From that account, you can pay for deductibles, copays, coinsurance and other “qualified health care expenses” that your health insurance doesn’t cover. That could include health insurance premiums, COBRA premiums, long-term care insurance premiums and many more expenses. The IRS has a 40-page list. The tax advantages are great. Money you contribute is tax deductible, and any money your employer contributes isn’t subject to payroll taxes. Once in the account, money grows tax-free. When you use the money for qualified health care, you won’t pay taxes on it when you pull it out. However, any money withdrawn before age 65 to pay for non-medical expenses is subject to a 20 percent penalty and ordinary income taxes. But after age 65, if you use the money for non-medical expenses you will be taxed but not penalized, just as you would on withdrawals from a 401(k). If you don’t spend it in the year you contribute it, you do not lose the contribution. Unlike an FSA, you can add to your HSA throughout the year. If you change jobs or retire, your HSA goes with you. The same is true if you decide you no longer want a high deductible health plan. You can switch insurance and your account will continue to exist. You will still be able to invest and use the money in it, you just won’t be able to make contributions. Where should I open an HSA? That depends how you are going to use it. Costs and features vary. Some HSAs charge annual or monthly fees. Others only charge fees if you don’t maintain a particular minimum. You can compare providers at HSAsearch.com. Next, look at how the account enables you to pay for healthcare; it’s easiest if the HSA gives you a debit card, with an online banking option to monitor your account. Finally, if you’re planning to use the account as a supplemental retirement account and let the money grow over the long haul, you will want the ability to invest in stocks or mutual funds rather than just earn savings-account interest rates. The majority of providers offer no investment options, but instead pay interest on deposits. Some offer only CDs or mutual funds, while others allow you to buy stocks and bonds. Usually, consumers have to amass a minimum balance before investing. Investors need to hit a $1,000 or $2,000 threshold. How I should spend HSA funds? If you can swing it, let the money grow, while paying for health care needs out of taxable income. That way you will accumulate a health care nest egg for when you really need it. It is estimated that a 65-year-old couple with an average life expectancy will spend $240,000 in retirement on unreimbursed health care needs. If you’ve saved that money in your HSA, you can pay with money that isn’t taxed. That’s not true of money coming out of your 401(k). If you don’t think you’ll take advantage of your HSA, you should still open the account with a minimum amount of $10. Then, if you have a medical expense, you can put money into the account and use it immediately to pay your bill. Come tax time, you can deduct that money from your adjusted gross income and lower your tax bill. Should I invest the money in my HSA? That depends on how you plan to use these funds. The closer you are to any goal, the less risk you want to take with that money. If you are counting on your HSA money to pay for health care needs within the next three years, you shouldn’t put the money at risk. Put it in a savings or money market account or CDs. However, if you are planning to pay for health care with funds outside your HSA in order to grow the money in your account for retirement, you will want to invest it as you would the money in your 401(k) or IRA. What should I fund first? I already have a 401(k) and a 529 college savings account. The best thing you can do is grab any free money, in the form of an employer match or incentive. So, look at the dollar-for-dollar payoff. Some employers give you HSA money for simply choosing the high-deductible health plan. Others will match a certain percentage or amount of money that you contribute to your own HSA. Still others offer incentives for participating in programs designed to lower your health expenses: completing a health-risk assessment, taking stress or weight-management classes or undergoing biometric testing. Compare all of those benefits with the contribution you have to make in order to tap 401(k) matching dollars. Grab any available free, employer-provided HSA dollars first, as described above, then employer-matching dollars. After that, top off your HSA because the money is tax-free going in as well as coming out before maxing out your 401(k). 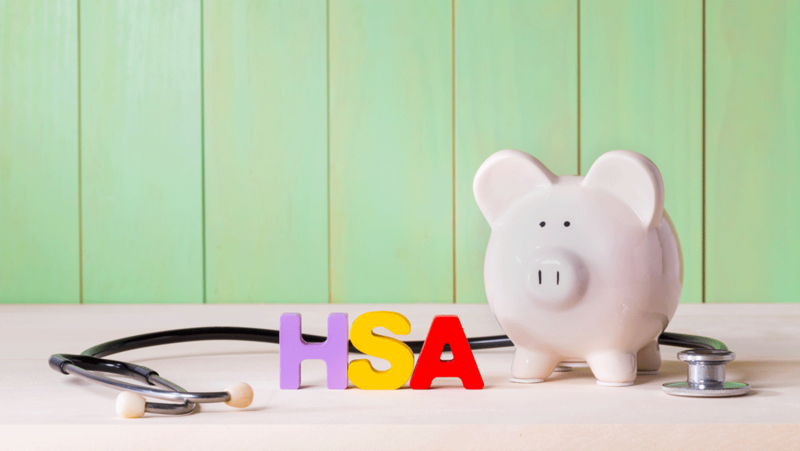 If your HSA and 401(k) are topped off, you can move onto other tax-advantaged options, like 529 college savings accounts, which sometimes offer a state income tax deduction. HSAs allow individuals 55 and older to contribute an extra $1,000 annually. Until you hit age 55, it doesn’t make sense for spouses to maintain separate HSAs. But once you’re there, you may want your own account in your name, so each can contribute the extra grand. Keep your eye out for all your preventative benefits. HSA-eligible plans, under Obamacare, are all required to provide a certain level of paid-for preventative care. Experts say people who have these plans are taking advantage of this feature. That’s yet more evidence that signing up for an HSA-eligible health care plan and opening a health savings account can be good for both your health andyour wealth.